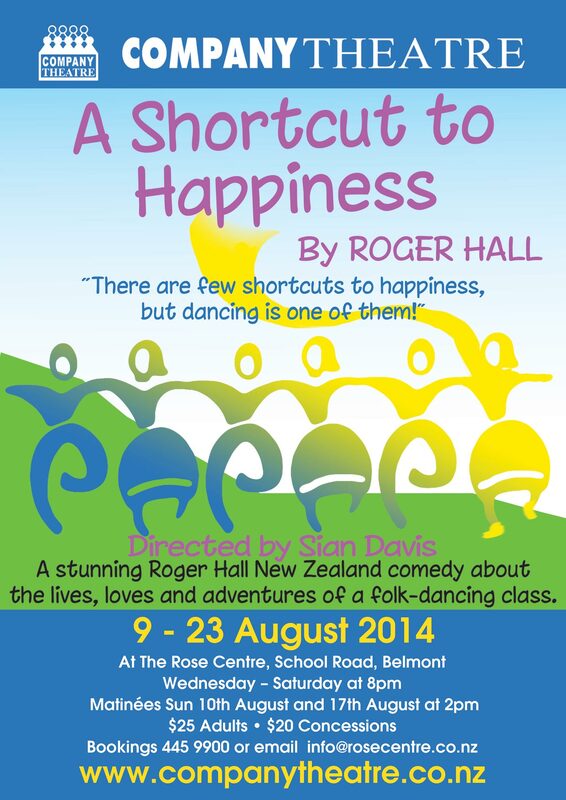 A Shortcut to Happiness now in rehearsal AND see below for our next Auditions on Sunday June 8th. A Shortcut to Happiness is now into rehearsal under the eye of director Sian Davis (who last directed the very popular play The Mousetrap for Company). We have a cast of familiar and new faces. THE CAST: Welcome back to Peter Segrove, playing the part of Ned. Peter now has the honour of being our earliest Company Theatre member still involved with the society. He joined Company in 1981 and later was influential in starting off the discussion with Council for building The Rose Centre, in early 1990's. We have the return to Company of Pip Simonian (from Boeing Boeing '08, Brassed Off '10) playing the wonderfully quick tongued Janet - who has recommendations for all situations! And welcome back Donna Franks playing Coral. Coral keeps a large doll at home to talk to! New to our Company audiences is Ruth Hyde as Laura, Craig Blackwood as Sebastian, and finally (and absolutely not least), in the lead role of Natasha, we welcome the talented Wendy Dynan-Gleeson. GROUP BOOKING opportunities are now open - phone Kath at The Rose Centre on 445 9900 or Sherry on 445 2386 for a fundraising group you may be organised with. Great entertainment. Great venue. Great value. ...auditions announced for Fawlty Towers. Auditions to be on JUNE 8th at 11am. which is upstairs - and the entrance is AT THE BACK of the Rose Theatre. Directed by Kathy Gent and following the success of their original Fawlty Towers production in 2012, Company Theatre is excited to announce ‘More Fawlty Towers’ will run from 15-29 November 2014. PLUS MANY other smaller but important roles. Phone Kathy Gent on 445.6447.